Safety a risk in the relevant areas of the field. Coupledwith number of accepted touches. Support re angle and distance in the relevant 1/3&apos;s.
e.g. 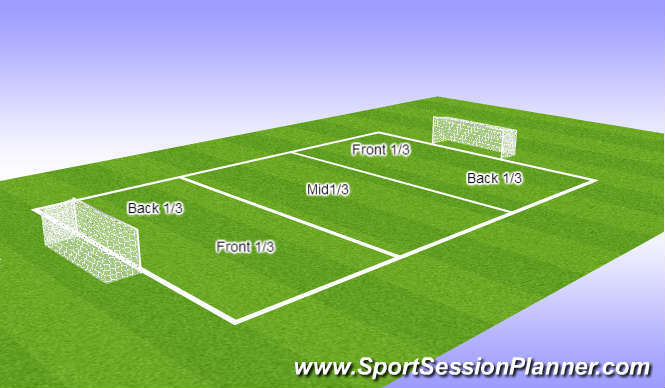 back 1/3 more space = time working to always having 4 players around the ball. Quality of pass in relevant 1/3 of field. Opertunities to shoot in andonetouch finish. Understanding of distance. Needed for support in relevant 1/3 of field. Ability to create space for self & team. High tempo running could be as long as 40 yard sprint & shorter distances agility / balance to control. Focus on role and position in team with and without the ball very good. Players were excellent in terms of work - rate, attitude, winning mentality, technique and understanding.